President Donald Trump Monday jumped to the defense of his press secretary after a Virginia restaurant kicked her out this weekend, saying the "filthy" restaurant should focus more on cleanliness. The barn-red establishment passed its most recent health inspection Feb. 6 of this year, according to the state's health inspection database. 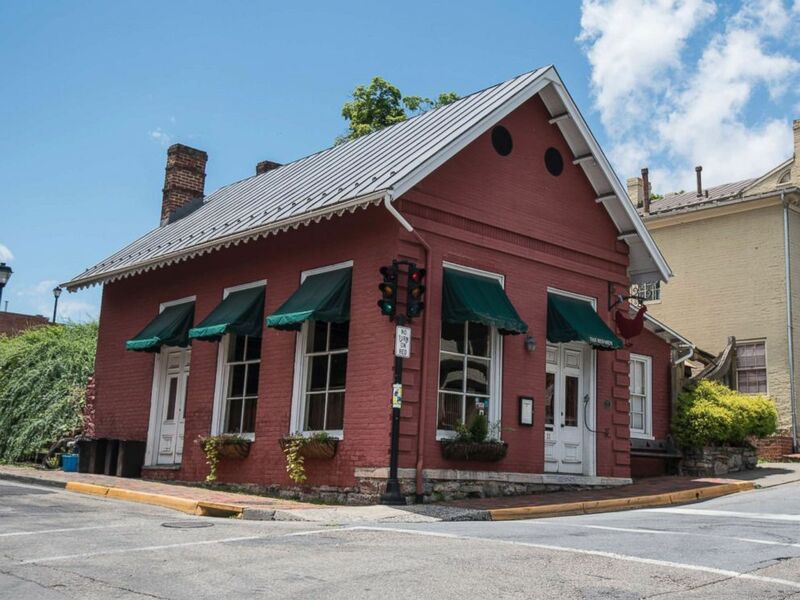 The Red Hen had no violations. Sanders explained on Twitter Saturday that she "was told by the owner" of the restaurant to leave because she worked for the president. "Her actions say far more about her than about me," she added. "I always do my best to treat people, including those I disagree with, respectfully and will continue to do so." The White House spokeswoman's father, former Arkansas Gov. Mike Huckabee, also defended his daughter, calling the Friday night incident "bigotry." "Bigotry. On the menu at Red Hen Restaurant in Lexington VA. Or you can ask for the 'Hate Plate'. And appetizers are 'small plates for small minds,'" he tweeted Saturday. The restaurant's owner, Stephanie Wilkinson, said she told Sanders, "The restaurant has certain standards that I feel it has to uphold, such as honesty, and compassion, and cooperation." "I said, 'I'd like to ask you to leave,'" she added in an interview with The Washington Post Saturday. Initially worried about Sanders' possible reaction, according to the Post's report, Wilkinson said the press secretary didn't make a scene. "That's fine. I'll go," Sanders responded, according to Wilkinson's account to the newspaper. Wilkinson's husband told ABC News that she doesn't plan to comment any further. The restaurant's Yelp page has since been engulfed by comments of praise and outrage. But despite the repercussions of asking arguably the White House's most visible face, other than the president, to leave, the owner told the Post she "would have done the same thing again." "We just felt there are moments in time when people need to live their convictions," she said. "This appeared to be one." In an apparent swipe at Sanders, Rep. Ted Lieu, a California Democrat and frequent Trump critic, tweeted Monday about strangers who thanked him for "telling the truth" in a restaurant, saying, "this is what happens when you tell the truth." Last night at a restaurant in Torrance, CA strangers thanked me for telling the truth. I politely said thank you. Their actions say far more about our nation than about me. This also happens to me at the mall, airports & coffee shops. This is what happens when you tell the truth.